Full Price: $ 59.99 25% off! 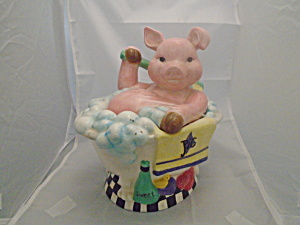 Piggy Taking a Bath in Tub Ceramic Cookie Jar. This is 10 in. wide x 11 high.